You can find here the answers of Word Jam, the new amazing and attractive IOS ( for iPhone and iPad ) word game developed by Weplay, a good puzzle for all Word gamers, it helps our brain and train our neurons. We have fixed all anagrams and achieved this step. All levels and challenges are fully completed so you can count on this topic to do so. If you are a word game lover and like to play brain games to improve your vocabulary or simply enjoy word search games to casually swipe and guess the hidden words, Word Jam – A Word Search & Word Guess Brain game is the perfect choice for the best brain game lovers! 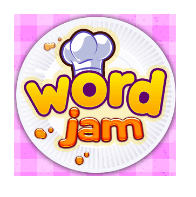 What are the answers of word Jam ? Hope this topic helped you ! Sorry, we forgot to add it to the main post.